Over the last years, data on the relationship between rumination and executive functions has been mixed. This meta-analysis aimes to provide an estimate of the overall and specific effect sizes of the relationship between rumination and executive functions (EFs): working memory, shifting and inhibition, and to test possible moderators of these associations. From a total number of 1123 considered abstracts, 64 articles (70 studies) met our inclusion criteria. The r coefficient for every outcome measure was calculated. The overall effect size revealed no relationship between rumination and EFs (r = 0.09, p = 0.001). Also, there was no relationship between rumination and working memory (r = 0.06, p = 0.12). However, we found small effect sizes for the association between rumination and shifting (r = 0.17, p = 0.001) and between rumination and inhibition (r = 0.11, p = 0.012). The only significant moderators were type of sample and sample size, which moderated the rumination – inhibition relation. These findings suggest that rumination may be associated with some EFs (i.e. inhibition, shifting) but the magnitude of this association is relatively small. Theoretical and practical implications are discussed. References marked with an asterisk (*) denote articles included in the meta-analysis. Anderson, P. J. (2008). Towards a developmental model of executive function. In V. Anderson, R. Jacobs, & P. J. Anderson (Eds. ), Executive functions and the frontal lobes: A lifespan perspective (pp. 3–21). Philadelphia, PA, US: Taylor & Francis. *Bistricky, S. L. (2012). Inhibitory processing of sad facial expressions and depression vulnerability. MacLeod, C. M. (2007). The concept of inhibition in cognition. In D. S. Gorfein & C. M. MacLeod (Eds. ), Inhibition in cognition (pp. 3–23). Washington, DC, US: American Psychological Association. Martin, L. L., & Tesser, A. (1996). Some ruminative thoughts. In Ruminative thoughts (pp. 1–47). Hillsdale, NJ, England: Lawrence Erlbaum Associates, Inc.
Miyake, A., Friedman, N. P., Emerson, M. J., Witzki, A. H., Howerter, A., & Wager, T. D. (2000). The unity and diversity of executive functions and their contributions to complex “frontal lobe” tasks: A latent variable analysis. Cognitive Psychology, 41(1), 49–100. *Schmalzried, R. C. (2013). Patterns of rumination by young and older adults., 73(12-B(E)), No Pagination Specified. *Smith, L. M. (2013). Rumination , Negative Affect and Working Memory : Does Rumination Moderate the Relationship between Negative Affect Induction and Working Memory ? Lauren M . Smith A dissertation submitted in partial fulfillment of the requirements for the degree of Docto. Vălenaș, S., & Szentagotai, A. (2014). 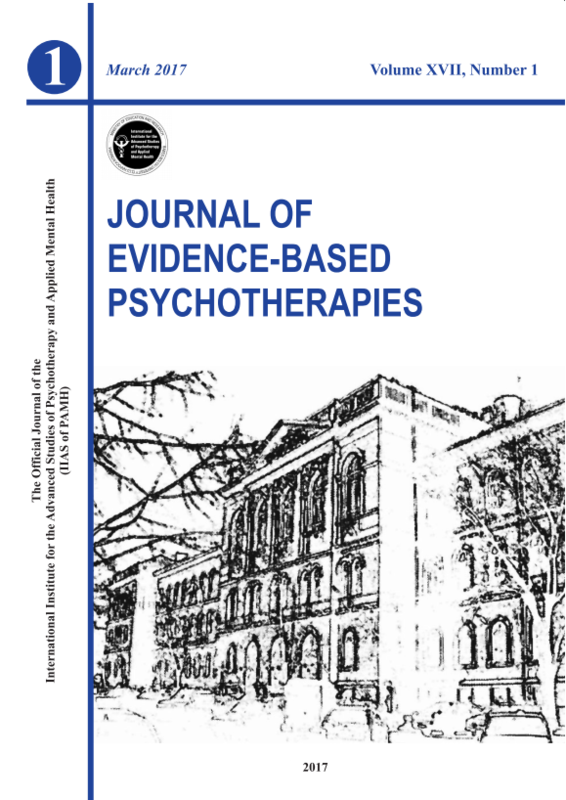 Rumination in Generalized Anxiety and Social Phobia: A Qualitative Systematic Review. Transylvanian Journal of Psychology, 15(1), 61–88. This work was supported by a grant of the Romanian Ministry of Education and Scientific Research and Executive Agency for Higher Education, Research, Development and Innovation, MECS–UEFISCDI, PN II–PT–PCCA–2013–4–1797.